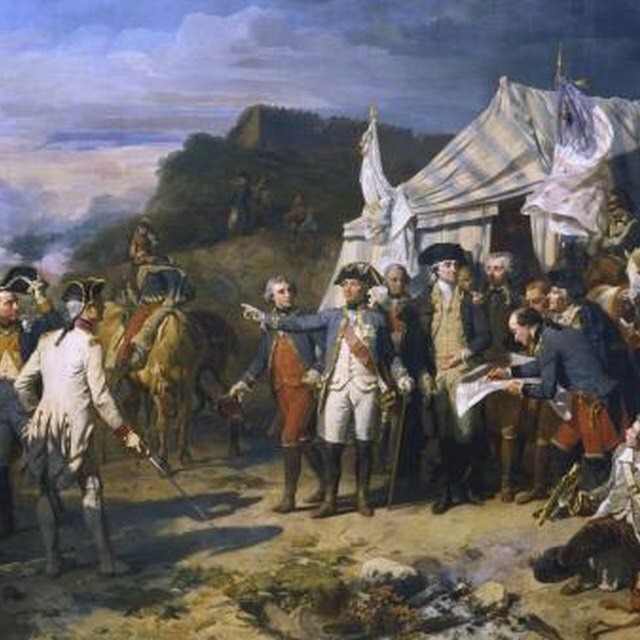 Auguste Couder's painting "Siege of Yorktown" shows the British surrender in 1781. The United States was born out of a struggle between England and its 13 American colonies known as the Revolutionary War, or the American Revolution. 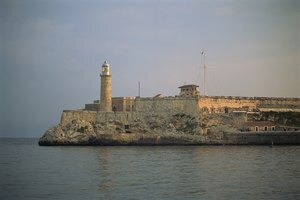 Angered at what they felt were abusive government practices, the colonies fought against Great Britain from 1775 to 1783 and won their independence even though they faced many disadvantages. In 1763, England defeated France in the French and Indian War and was able to hold onto its colonies in America. The war was expensive and most of the fighting happened on American soil, so England decided to make the colonists pay higher taxes. The colonists, who were unable to vote and had no say in the British government, called it "taxation without representation" and began to rebel. One act of rebellion was the Boston Tea Party, staged in 1773. 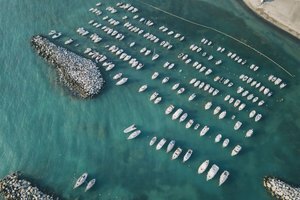 To show England they were serious about not wanting to pay their taxes, a group of colonists gathered on a British ship docked in Boston Harbor and dumped bags of tea into the Atlantic Ocean. 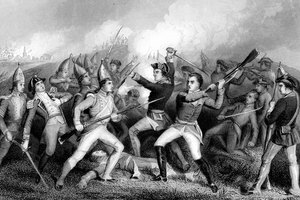 On April 19, 1775, the first shots of the American Revolution were fired at the Battle of Lexington in Lexington, Massachusetts. Several Iroquois tribes and the Cherokee sided with England in an attempt to stop American settlers from moving into their territory. Approximately a quarter of the colonists also fought on the side of the British, while another 100,000 fled to Canada, England and the Bahamas to avoid getting involved in the war. The English army's bright uniforms earned them the nickname "Redcoats." The colonists had virtually no money to spend on uniforms and wore whatever clothes were available. George Washington was the first commander-in-chief of the American army and would become the first president of the United States in 1789. He was not paid for his service in the war because America had very little money. 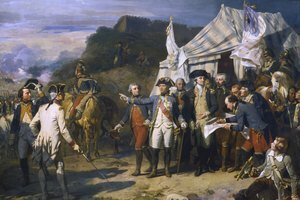 Washington was an experienced military leader who had fought in the French and Indian War, but his regiments were no match for those of England. 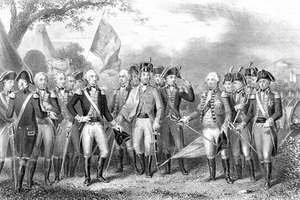 In fact, Washington typically had fewer than 15,000 soldiers under his command. On July 2, 1776, the Second Continental Congress voted for independence from Great Britain, and two days later it adopted the Declaration of Independence. Thomas Jefferson, who would become America's third president, wrote the document, and every member of the Continental Congress who was present signed it. The Declaration of Independence outraged the British government, which sent more troops to outnumber the colonists. Soon England was winning the war. 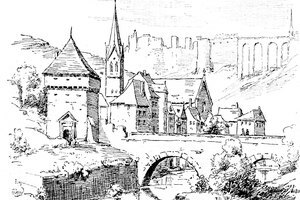 In 1777, American statesman Benjamin Franklin traveled to France to ask for help in fighting the war. Franklin, a member of both the first and second Continental Congresses, convinced the French king to give the colonists weapons. Spain and the Netherlands, both allies of France, began helping the colonists, too. England was left fighting against four countries; with no European allies, even some citizens of England shifted their allegiance to America. The English army was severely weakened as a result, and the tide of the war turned in favor of the colonies. With assistance from France in the form of troops and money, America regained momentum in the war. A French blockade prevented the British from getting their navy across the Atlantic Ocean to join in the fighting. In October 1781, English General George Cornwallis surrendered to General George Washington in Yorktown, Virginia. The Treaty of Paris officially ended the war two years later. America had gained independence. Bruns, Jordan. "Facts About the Revolutionary War for Kids." Synonym, https://classroom.synonym.com/revolutionary-war-kids-7878223.html. Accessed 20 April 2019.